01.03.2015. London, England. 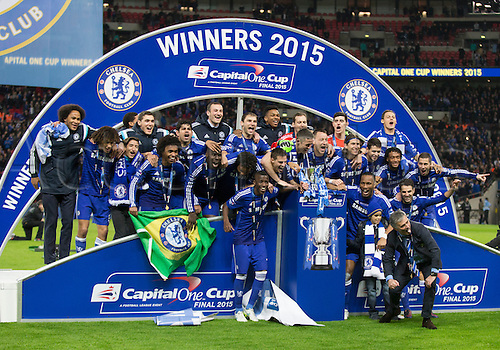 Capital One Cup Final. Chelsea versus Tottenham Hotspur. The Chelsea team celebrate their victory with José Mourinho, the Chelsea manager sticking his tongue out.